PINTofALE was originally developed to analyze spectroscopic data from optically-thin coronal plasmas, though much of the software is sufficiently general to be of use in a much wider range of astrophysical data analyses. 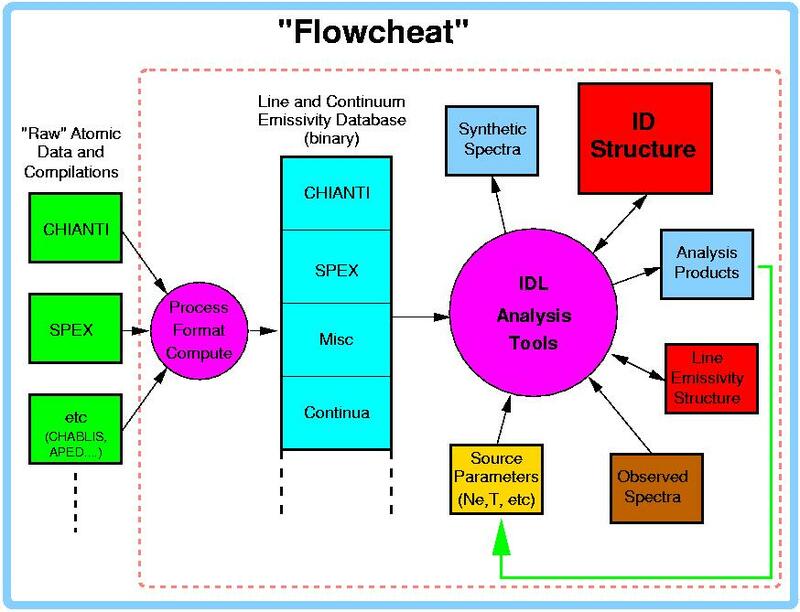 It is based on a modular set of IDL tools that interact with an atomic database and with observational data. The tools are designed to allow easy identification of spectral features, measure line fluxes, and carry out detailed modeling. The basic philosophy of the package is to provide access to the innards of atomic line databases, and to have flexible tools to interactively compare with the observed data. It is motivated by the large amount of book-keeping, computation and iterative interaction that is required between the researcher and observational and theoretical data in order to derive astrophysical results. The tools link together transparently and automatically the processes of spectral ``browsing'', feature identification, measurement, and computation and derivation of results. Unlike standard modeling and fitting engines currently in use, PINTofALE opens up the ``black box'' of atomic data required for UV/X-ray analyses and allows the user full control over the data that are used in any given analysis. Please note that the CHIANTI, SPEX, and APEC projects are not responsible for any problems and errors arising from their use in PINTofALE. CfA/HEAD folk, you don't need to download anything. See instructions on SysHelp software page for how to set up to use PINTofALE locally. Downloads through this website are now deprecated. The full install is now available through a shared MEGA folder. Contact us to get access to it. Once shared, the full set of routines will download to your machine, and you can set up a local installation with an included script. Do not make any modifications to the routines because they will be overwritten when updated -- if you must make changes, copy the relevant script to a different filename and edit it locally. The most recent version is 2.97 [2016nov24]. The minimal installation (pro, emissivity/chiantiD, emissivity/contD, ardb, and doc) takes up 230 MB, and IDL v5 or greater is necessary; corrected for newer versions of IDL. This release was made possible through a grant from the NASA Applied Information Systems Research Program. We express warm thanks to Rebecca McMullen, Olivia Johnson, and Antonio Maggio for many helpful comments during development, and to Pete Ratzlaff, Miriam Krauss, and Dan Dewey for testing out the software and finding bugs. PINTofALE was largely developed in our "spare" time; JJD was also supported by NASA contract NAS8-39073 to the Chandra X-ray Center, and VLK acknowledges support from NASA grants NAG5-3173, NAG5-6775, NAG5-3831, NAG5-3196, NAG5-7226 and NAG5-3195.